Continuity mistake: Gere shoots an arrow at a picture stuck to a glass. The position of the picture keeps changing all the time. 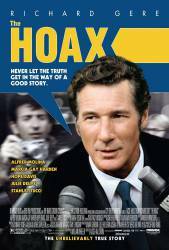 In the epilogue, all of the characters' fates are accounted for, except for the fact that Noah Dietrich's account of Howard Hughes' life, which formed the "rough draft" of Clifford Irving's hoax, WAS published (presumably after considerable editing) as a mass-market paperback after the scandal struck.